Jeri here and we are so excited to get this new year started with some incredible new products and some fun projects from our FotoBella Design Team. I was so lucky to receive the new PhotoPlay So Loved 12x12 Collection Kit, the PhotoPlay So Loved Stamps, the BoBunny Lots of Love Stickable Stencil and the BoBunny Ruby Red Glitter Paste to play with this month! 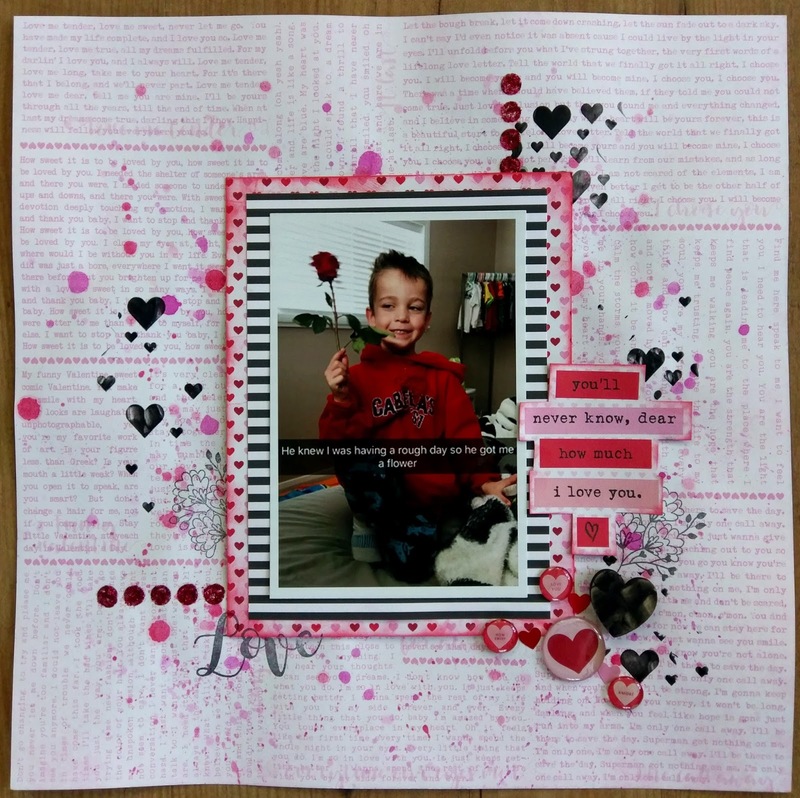 Of course, I had to create a layout with my darling nephew giving his mom a rose! I thought this was the cutest picture and displayed his personality perfectly. 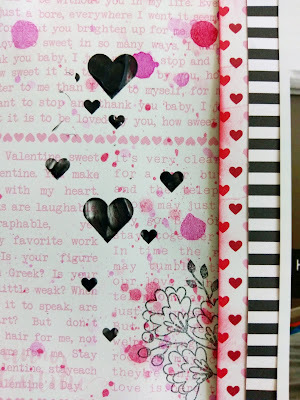 Valentine's Day is coming up, and these products couldn't be more perfect for scrapping your Love Day memories! But they also work for any type of love project! 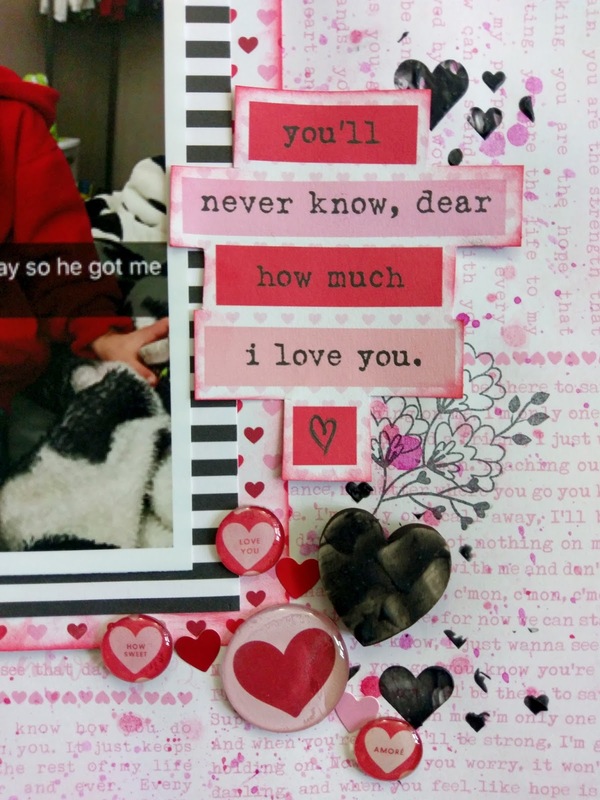 This photo of my nephew was taken this month, and isn't technically a Valentine memory. The BoBunny Stickable Stencils were so fun to use!! They stuck easily to the paper and didn't move as I smeared the glitter paste on them! They pulled off the paper just as easy and didn't leave any mess on the layout. 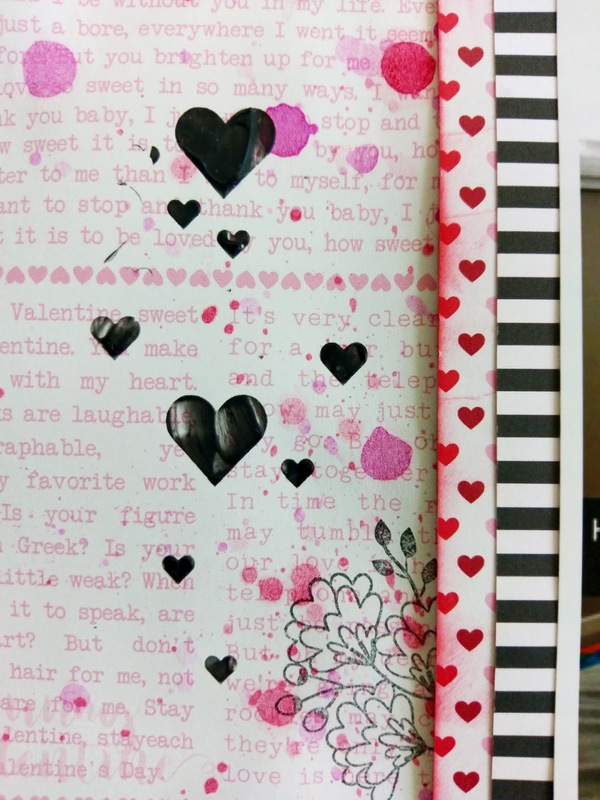 Have you started your Valentine crafts with any of these products? We would love to see what you are creating! Tag us, or post pictures on our Facebook page! 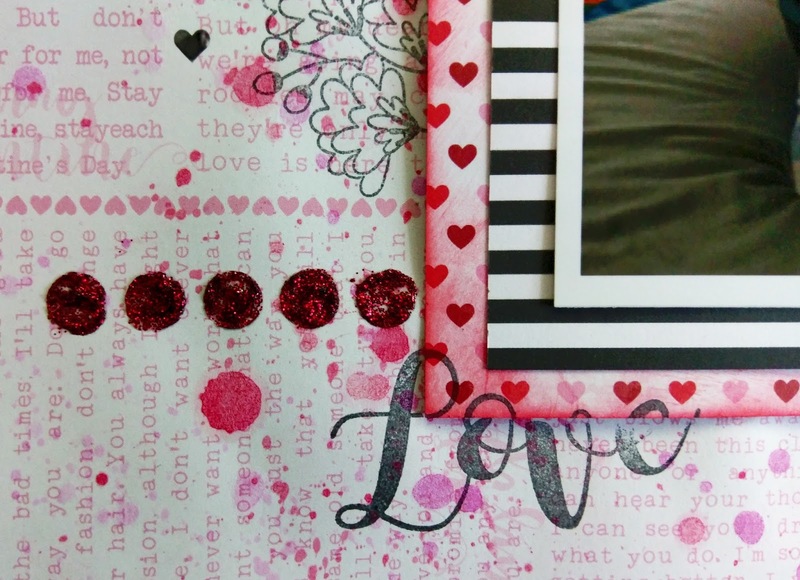 Love how you used your new goodies,especially the background! Thanks so much Drea, definitely a fun pack of products!! 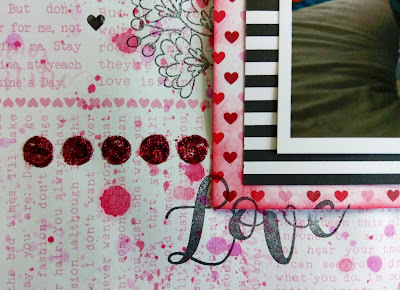 Love the splattering technique you used! Beautiful job!